Whether you are heading back to classes yourself or shipping your kids back to theirs, your schedule is probably about to change if it hasn’t already. When schedules change, it can be hard to juggle everything and settle into a new routine. All too often, things fall through the cracks, and your personal writing time might get lost in the shuffle. There is room in your schedule for a writing routine, you just have to make sure to prioritize it in your schedule! Many writers love to wake up at dawn and write during the quiet hours of the morning. Others work late into the night while everyone is asleep. Some writers are militant about using their lunch break to write furiously in the break room. These routines are very different, but the result is all the same; these writers write. How can I find the right writing routine? 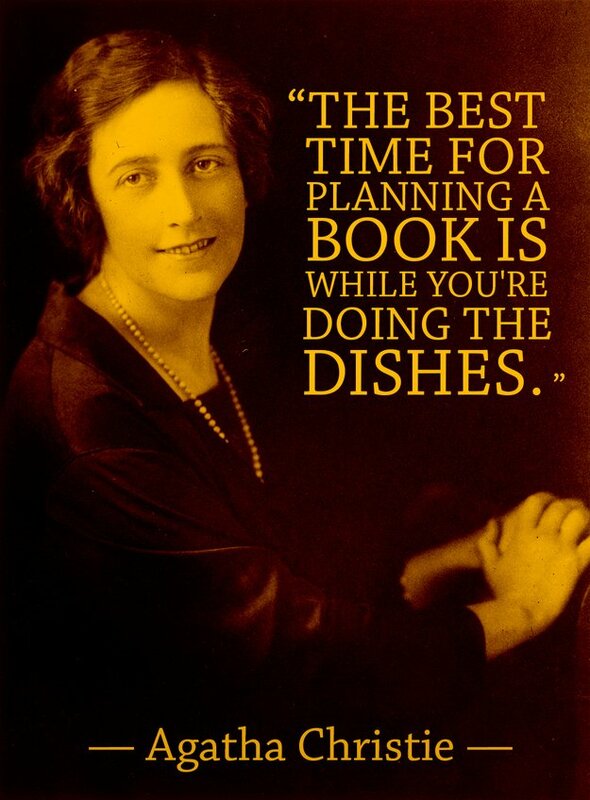 Agatha Christie, on the other hand, used chore time to brainstorm. 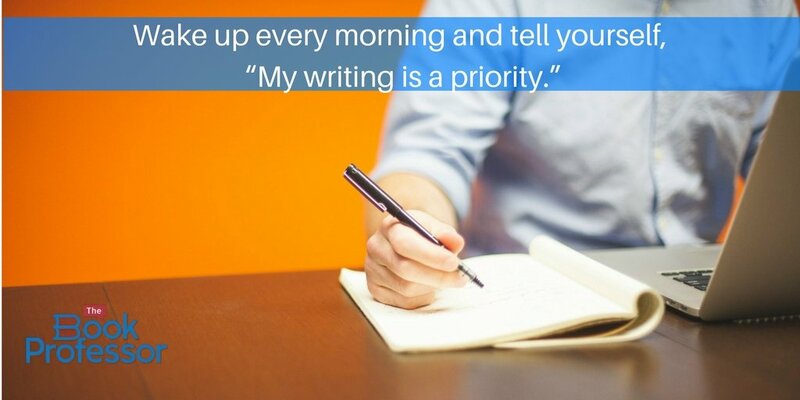 Wake up every morning and tell yourself, “My writing is a priority.” Say it out loud and really mean it. No one is going to force you to sit down and work on your book, so you have to be the one to set aside the time to put words on the pages. Take a look at your schedule and decide when you can truly dedicate yourself to your book. Be realistic about it. If you absolutely dread mornings, don’t set yourself up for failure by scheduling 4am wake-up calls. If you know that your Saturdays will be filled with soccer games, make that your day off. 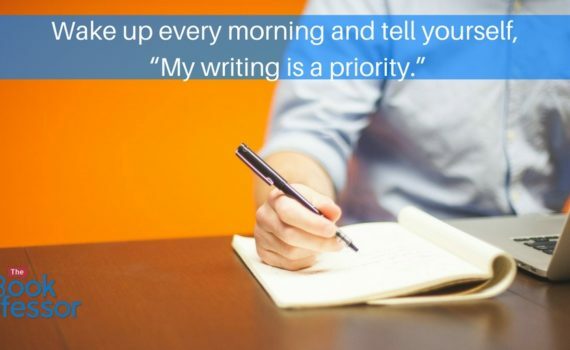 Your writing time is important. It is not leisure time spent in front of the TV. It is not a hobby. You are telling your story, and your story matters! Make sure you schedule time to write, even if you have to break it up into smaller increments. It’s ok if you can’t dedicate several hours to your book every day, but figure out how much time you need to work on it each week and then stick to that schedule. 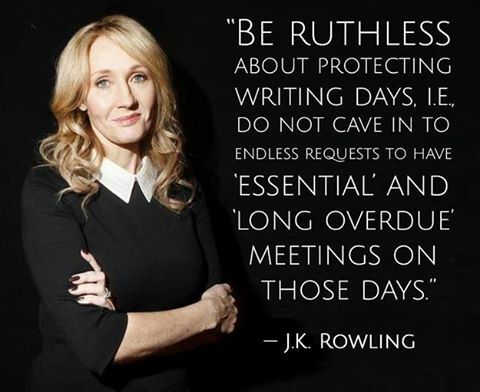 You can write your book in one year, but you have to dedicate time to a writing routine! As you settle back into your school or work routines, make sure you schedule plenty of time to work on your book.